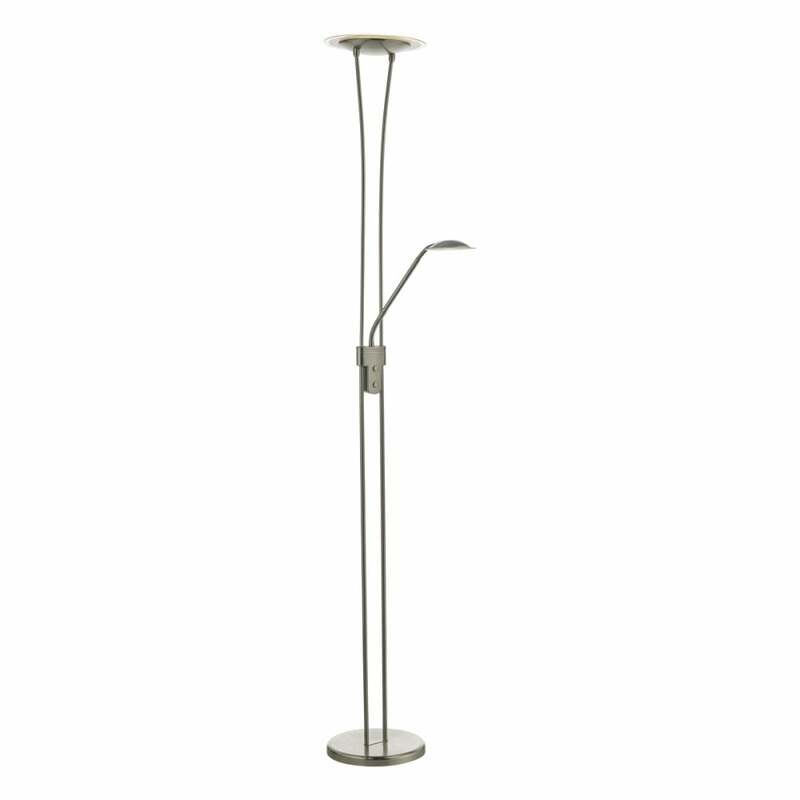 Dar Lighting Hahn 2 LED light mother and child floor lamp in a satin nickel finish features a circular base and 2 long slender stems which hold a bowl shaped top light and adjustable reading light. This dual switch floor lamp with memory dimmer brings together the finest in modern design and LED technology creating a sleek and functional fitting perfect for your contemporary space. The product code is HAH4946. This product has a 1 year warranty and the integrated LED's have a lifespan of 25,000 hours. Also available in antique brass finish which can be purchased via our website.